Pokebro, Do You Even Cosplay? First there was Musclebound Digglet. Then Beefcake Misty. 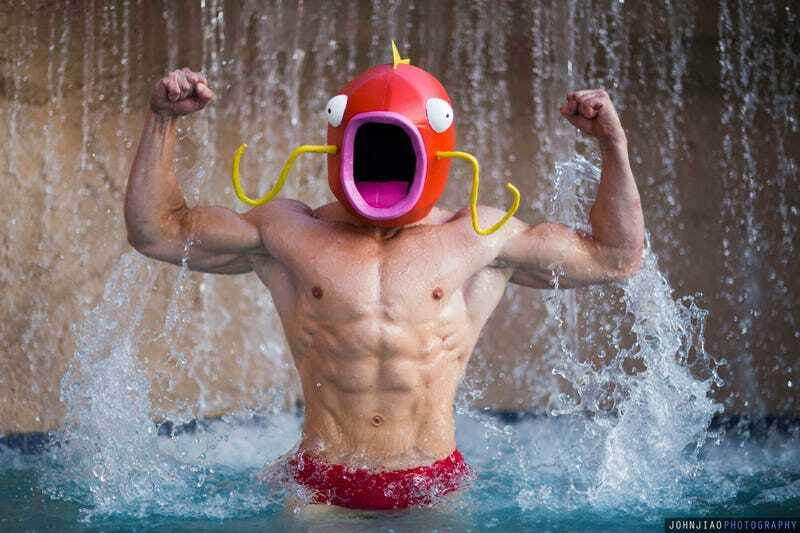 Now, there is Buff Magikarp. Nine more and we’ll have one hell of a calendar. Cosplay by Sev Cosplay, photo by John Jiao.